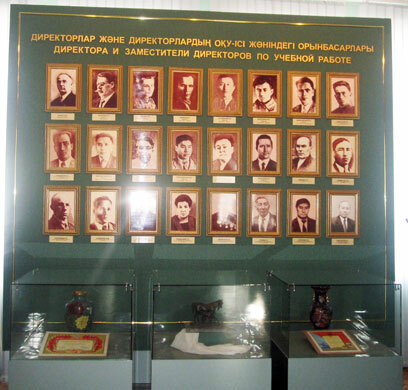 First hall, «history of college », presents the sparse frames & documents of telling about development of Semyrechye agricultural school of preparation of agronomist. There are reports of first pedagogical consul of Semyrechye agricultural school, books of farming dated by 1868 year. 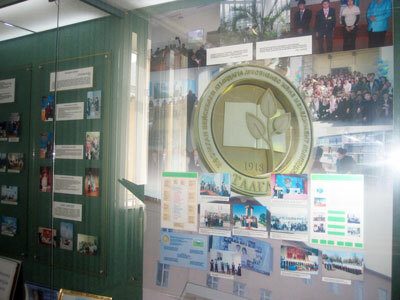 Expositions of this hall show us development of school, as base of study and practice, studying and well breading process, forms and methods of producing learning improvement of methodic words, students life and holidays, traditions of school, including meeting with people ritual of specialists dedication, getting of passports, meeting in military force of USSR. 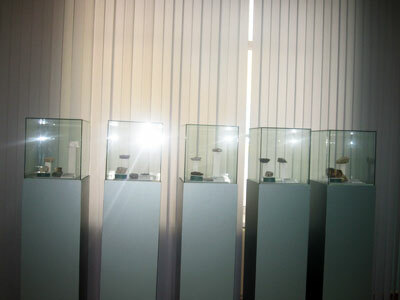 There are also the sparse photographs of art initiatives of teachers and students of school and sport achievement of 1950-1970 years. One of banner is dedicated to people which had a big step in history of school, they were directors and deputy of educational work since 1918 till 1997 there is scheme of route of 1073rd Talgar regiment of 8th Panfilov division. In this regiment had being fighting Akay Nusypbekov, who was graduator, director of school, vice-president of Science Academy of Kazakh SSR. 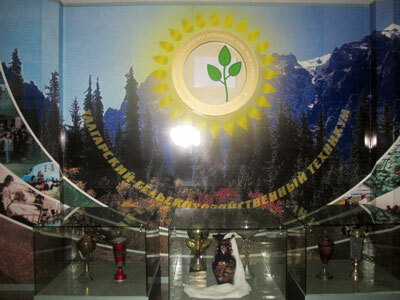 Second part of history of college presents study and practice base of Talgar college of agro-business and management named after M.Bysebaev since 1995 up to this moment. 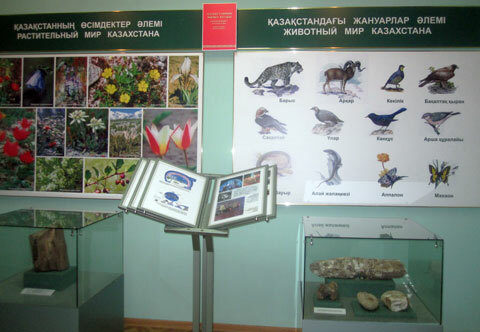 System of management of quality is presented at museum’s banners also, which is responsible to the International standards of ISO, caps and certificates. 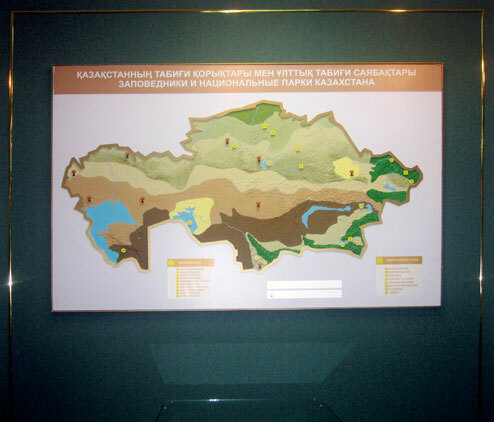 Central expositions named “Knowledge is power” show to our visitors life of our famous graduators, who are successful employees today, for example employers of state authorities; of science sphere and who taking the responsible position in agricultural companies. Patriotic education of youth is one of the main point in educational process of college. 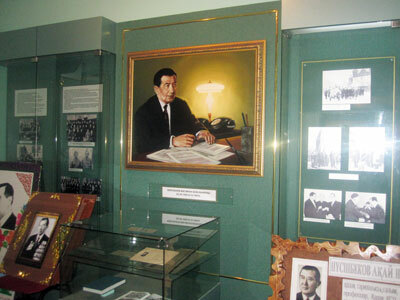 Banners of expositional tell about this point, these are room of history of Nusupbekov, room of first military preparation is dedicated to B.Momyshuly, room of first president of the RK, “Astana-dream city” room, also there are photographs of social people and famous people of our republic.